Larco Engineering repair and supply Industrial Folding Doors. Contact us today for a quote. Larco Engineering can supply, fit and maintain industrial folding doors to any industrial building throughout Ireland. Our steel folding doors offer speed, reliability and security. Our doors are also easy to operate.The concertina operation of our steel industrial folding doors (sliding doors) are designed to ensure that entrances have optimum clearance, maximising ease of access whilst not compromising security. Precision engineered and made using quality materials, our industrial folding doors are easy to operate and maintain. 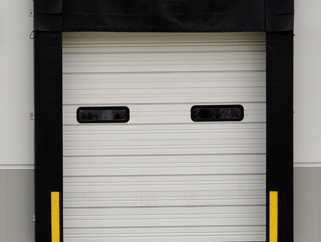 We service all types of industrial folding and sectional doors including cold storage doors, from almost every manufacturer. Larco Engineering also repair sliding doors and recently we teamed up with the Cork County Fire and Rescue Service to maintain their station doors throughout Cork. At Larco Engineering we take pride in the service we offer. For this reason, we offer an extensive warranty with all repairs and new industrial door installation at your premises. Contact us today for a quote. Industrial folding doors are also known as automatic sliding doors.